To carry out our mission purposes, we associate with all churches of like faith and practice who agree with our ministry philosophy and beliefs. For example, MM has networked with Christar in the UK. In Asia, MM has partnered with Serve India, Asian Christian Academy, the IMB, World Venture and the EFCA to name a few. 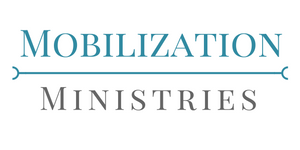 In carrying out the Great Commission worldwide, Mobilization Ministries will partner with any evangelical entity that is in harmony with our doctrinal statement and ministry principles. In the USA, we have a variety of churches we partner with in our overseas work. Below is a list of some of the churches who help sponsor projects financially and prayerfully in Asia. CrossLife Projects, while it is a major sponsor of Mobilization Ministries and its overseas work, CrossLife also has church projects in the USA. CrossLife recently signed a formal partnership with EFCA Texas/Oklahoma. Since our focus is major ethnic areas, we have selected San Antonio as our first church plant. Mike Kraft, a graduate of Trinity University, has been selected as our first church planter. This church (Mission Community Church) has already started meeting in small groups each week near Sea World San Antonio. Do pray for this church’s progress. CrossLife is the major sponsor for this work. We are excited to see what God will do in this majority Hispanic city (70% Latino) through Mike and his wife, Ariel. They also have 3 young kids. So they need our prayers!